Posted On October 28, 2014 by Team iCynosure. Earlier this month, direct selling cosmetic giant Oriflame launched its ‘The One’ range of makeup essentials with their brand ambassador, the gorgeous Huma Qureshi, Mr. Niklas Frisk, Vice President and Head - South Asia and Mr. Mirek Kopriva, Regional Marketing Director South Asia. The brand has also initiated a great activity inviting few bloggers from across the country to participate in a niche review program. As you know, I had received all the products of their October launch. 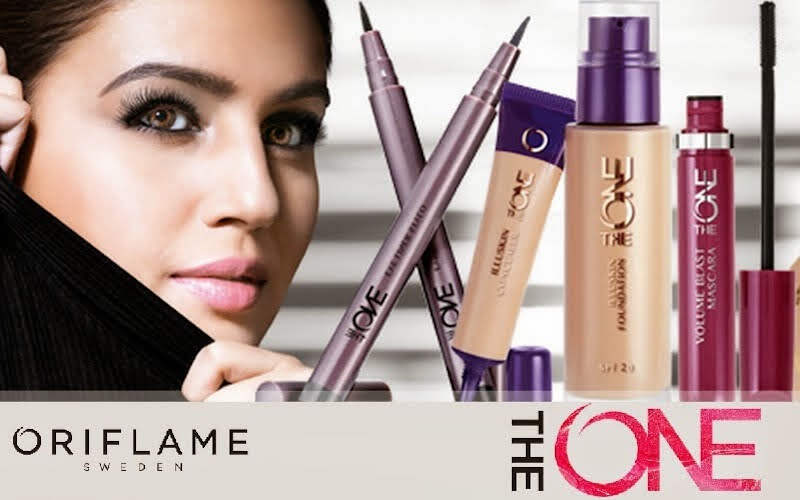 I have been using the foundation, concealer, mascara and the eyeliner from #TheOne range and have been mighty impressed. If I have to pick the best product of the October launch, it has to be the eyeliner. What is Oriflame’s The One Eyeliner Stylo all about? Oriflame’s The One Eyeliner Stylo claims to deliver a smooth, precise line without dragging or stopping to achieve high colour and style precision. It is expected to dry quickly and remain smudge-free and maintain the colour and shape. What does the ingredients list of Oriflame’s The One Eyeliner Stylo look like? Oriflame’s The One Eyeliner Stylo contains Acrylates, Ammonium Methacrylate Copolymer, Glycerin, Laureth-21, Peg-40 Hydrogenated Castor Oil, Butylene Glycol, Phenoxyethanol, Benzyl Alcohol, Sodium Laureth-12 Sulfate, Potassium Sorbate, Caprylyl Glycol, Sodium Dehydroacetate, Citric Acid, Tetrasodium Edta, Dehydroacetic Acid, CI 77266 (Nano), CI 42090, CI 28440, CI 19140, CI 17200, CiI45410, CI 61570 and CI 16035. 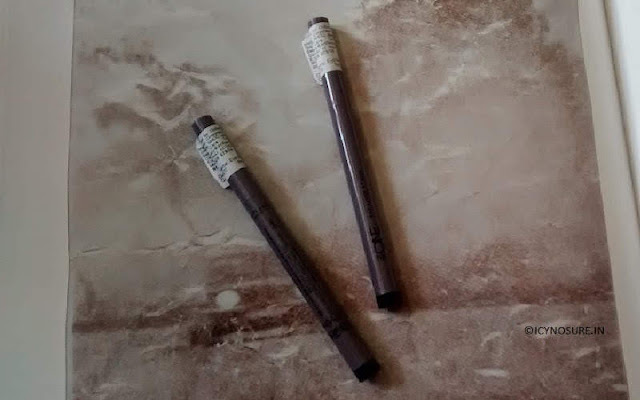 How is Oriflame’s The One Eyeliner Stylo packaged and priced? Oriflame’s The One Eyeliner Stylo is packed in a neat sketch pen pack with a perfect narrow felt-tip for application. It is packaged in the range’s ombre colour of purple. Though it is priced at INR 499 for 8ml, currently there is an introductory discount offer of 25%. In what shades is Oriflame’s The One Eyeliner Stylo available? Oriflame’s The One Eyeliner Stylo is available in two shades at the moment; Black and Blue. Since I have very sensitive eyes, I have always stayed away from uncomfortable products that are difficult to use for eye makeup, especially Eyeliners and Mascaras. However, with Oriflame’s The One Eyeliner Stylo, eye makeup application is as easy as drawing on paper. 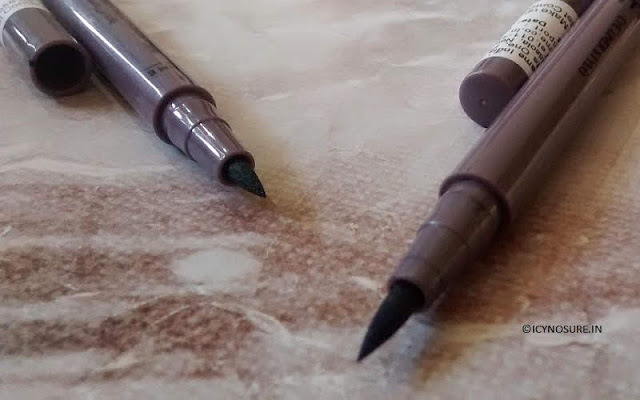 I love the fact that the eyeliner is developed in a manner that it facilitates smooth and consistent application with the most tenderness hand. Whether I want to create a simple or a dramatic look, it doesn’t become a sore point of the makeup routine. Simple strokes enable me to achieve my desired look. The colours are not as intense, but for me, it’s the way I like my eyeliners as the mildness in the shade gives a more natural look. As it is also a smudge-proof product, it stays longer and no touch-up is needed. Though it doesn’t really impact the lower line, and seems like a very light line. To know more about Oriflame Range of Products join the Oriflame India Facebook Page. Have you tried their products? Do share your experiences.